American engineer. Influential aerospace structures engineer; proved integrity of Atlas balloon tank. 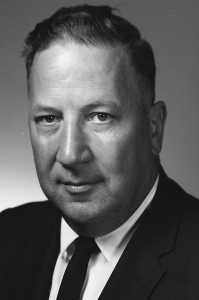 Peery established and was the first head of the Department of Aeronautical Engineering at Pennsylvania State University Department in 1943. At first a subsonic wind tunnel and a Link trainer were the only tools for research. His 1949 textbook, Aircraft Structures, was an essential resource for generations of aeronautical engineering students. In the early 1960's he was working for General Dynamics and played a crucial role in convincing NASA of the design integrity of the Atlas balloon tank design. Using his development of the theory for structural strength available after the onset of local skin buckling, he showed by analysis that the Atlas-Centaur tank design -- thought by many to be too radical -- was actually unnecessarily conservative. His calculations showed it could withstand vastly greater stresses. Peery convinced management at General Dynamics and at NASA Lewis to test a full-scale Atlas-Centaur to the point of collapse. The tests proved the balloon tank kept its integrity even at loads vastly in excess of those it would ever expect to encounter. 1979 November 9 - . Death of David J Peery. - . Related Persons: Peery. American engineer. Influential aerospace structures engineer; proved integrity of Atlas balloon tank..